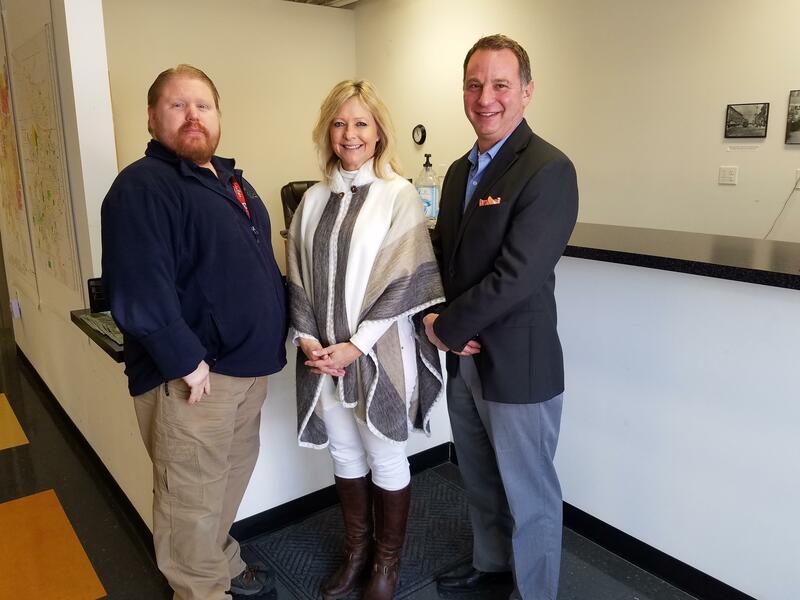 From L to R: Deputy Assessors Dylan Massey, Angela Shumaker and Assessor Paul Faraci, in the City of Champaign Township Assessor's Office in Champaign. Townships are a part of local government that Illinoisans often forget they have ---- until there’s a controversy, like that one that flared up in early January in Urbana. That’s when Wayne Williams was sworn in as the new assessor for Cunningham Township, with borders nearly identical to the city of Urbana. Williams’ first actions in office included the firing of two longtime staff members and the hiring of a new one with an outstanding job-related felony charge. After a firestorm of criticism, Williams announced his new staff member would soon be leaving, and that he would adopt a formal personnel policy. Meanwhile, critics such as Urbana alderman Eric Jakobsson discussed the possibility of eliminating Urbana’s township government altogether. The Cunningham Township government offices in Urbana. “At this moment, if this was before me right now, I would go for it,” Jakobsson told the News-Gazette the week that Williams made his staff changes. A few weeks later, Jakobsson said he was putting his interest in eliminating Urbana’s township government on the backburner, in favor of getting a strong personnel policy in place. But he still maintained that “township government across the state of Illinois is riddled with patronage, corruption and abuse,” and that while many township officials performed well, there were few safeguards in place for when abuse occurred. Historically, townships in Illinois exist in the context of county government. In the 85 Illinois counties that have them, townships bring government services that would otherwise be performed by the county down to a more local level. Until a 1968 US Supreme Court ruling ended the practice, voter control of county government was done through the townships, as county boards were made up of elected county supervisors. Another way that counties and townships are linked together is in the process of assessing property for property taxes. In Illinois, most counties send out property tax bills based on property appraisals made by township assessors --- like Wayne Williams in Urbana’s Cunningham Township and Paul Faraci in Champaign’s City of Champaign Township. “They have a supervisor of assessments at the county, and that person works with all the townships and all the township assessors to make sure we’re all on the right page and we’re all working together,” explained Faraci, who was interviewed at his office in the City of Champaign’s one-story township building, a former Italian restaurant. “Because what we do impacts them and what they do impacts us," he added. Faraci, a Democrat, took office in January, after being elected without opposition last spring. His predecessor, Republican Brian Christie, chose not to run for reelection. (Current Cunningham Township Assessor Wayne Williams ran unsuccessfully against Christie for City of Champaign Township Assessor in 2009 and 2013). Faraci shares the building with fellow Democrat Andy Quarnstrom, the City of Champaign Township Supervisor. Quarnstrom oversees general assistance for the township --- short-term, emergency public aid. The supervisor and the assessor --- that’s all there is to township government in the cities of Champaign and Urbana, except for the township board. And the city councils of the two cities also serve as their respective township boards, taking up township business in monthly meetings that are separate from the city council meetings. Paul Faraci is a former Champaign City Council member, so he’s also a former township board member. In a more rural township, there would be an elected township clerk and a township road commissioner. Township governments are usually responsible for maintaining roads in rural and other unincorporated areas. They may also have other responsibilities, like looking after cemeteries, parks, even sewer systems. But City of Champaign Township and Cunningham Township in Urbana are among 18 townships in Illinois that are coterminous with a city. That means the city and township borders are almost identical. (There is also a Champaign Township and an Urbana Township, but those townships cover rural and suburban areas just outside the cities that share their names). Bloomington, Springfield and Peoria also have coterminous townships. Like Champaign and Urbana, the city governments there have taken over many services that township government handles in rural areas. And there are a couple of cities in Illinois that have taken everything over from their coterminous townships. One of them is Belleville, an Urbana-sized town in the Metro East suburbs of St. Louis, and the county seat of St. Clair County. Belleville had a coterminous township until recently. “The Belleville Township, primarily their total duties were general assistance and community assistance and emergency assistance,” said Belleville Mayor Mark Eckert, when asked to describe the duties of township government in his city. And that’s what Belleville did last year. The city lobbied for and got a change in state law making it possible for towns in less populous counties to absorb their coterminous township governments, expanding on an existing law that allowed the elimination of coterminous townships in counties with populations of more than three million. The law allows the dissolution of townships, with the approval of both the township board and the city council, and the passage by voters of a referendum. Belleville Township was officially dissolved in May, 2017, after approval by both the Belleville City Council and the Belleville Township Board (a separate body in Belleville) in 2016. Mayor Eckert says general assistance services once handled by two full-time township employees is now done by two part-time city workers in Human Resources (although he adds that one of the positions may be expanded to full-time next year). The mayor says that clerical work that the township workers once handled has been absorbed by other city staff. Eckert says Belleville taxpayers also save money because they no longer have to pay for the rental and maintenance of a township office building. City officials in Evanston, a Chicago suburb about the size of Champaign, say the same thing about their absorption of township services in 2014. 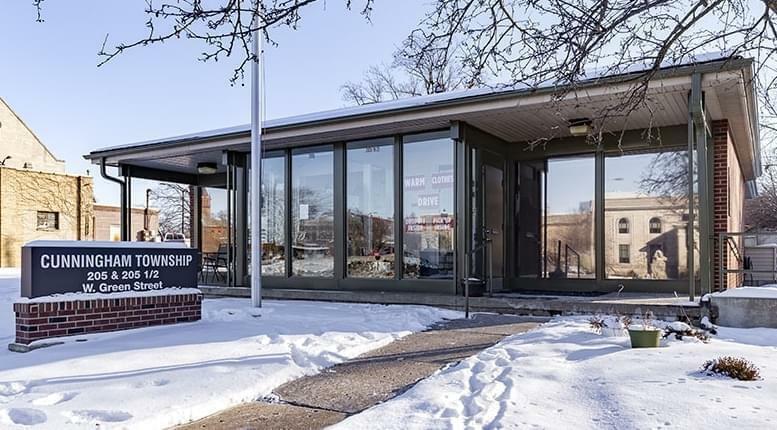 A 2016 white paper from Evanston city officials concludes that the city saved nearly $780,000 in the first full year that the city ran programs formerly under township control. But township officials say the change comes with a loss of accountability. Bryan Smith is the executive director of Township Officials of Illinois. Bryan Smith is the executive director for the group Township Officials of Illinois, which represents Illinois township officials and their interests. The group is officially neutral on state laws that permit the dissolution of coterminous townships, since dissolution can only happen with the township board’s approval. But Smith says when township government is eliminated, the services they used to oversee are no longer tied directly to an elected official. If local leaders and the voters agree, Champaign and Urbana could also eliminate their township governments, but there’s a wrinkle. Belleville and Evanston are in counties with no real township assessors. 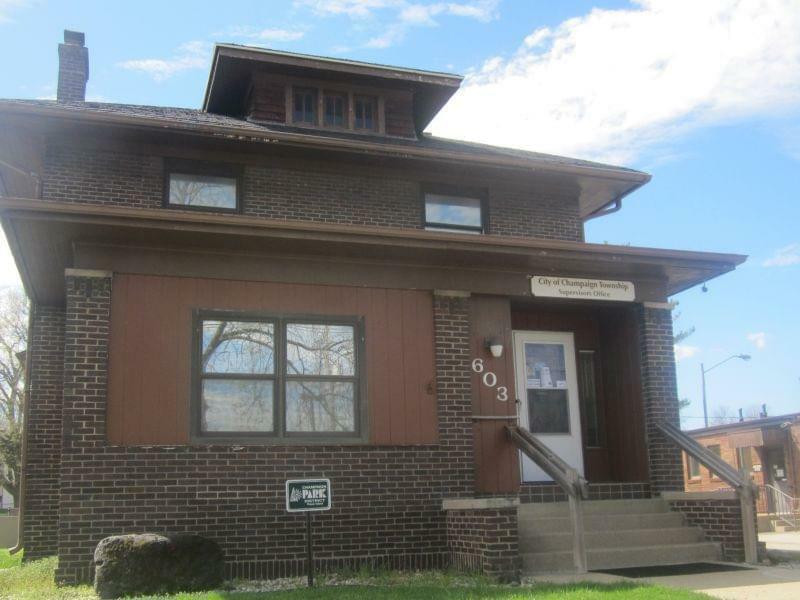 In both St. Clair and Cook Counties, property assessments are done at the county level. St. Clair County has no township assessors at all. In Cook County, township assessors act as an ombudsman for property owners, but do not do property assessments. Neither arrangement is the case in Champaign County and many other townships in Illinois. So, before coterminous townships disappear in those counties, city officials will have to consider if actual property assessment is a job they’re ready to handle.